Here we are tonight with an American Fruit Beer. 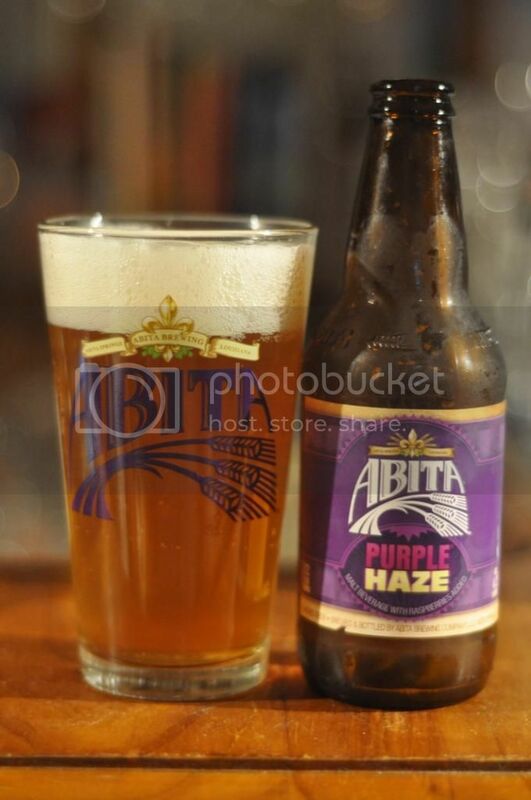 Abita's Purple Haze is the breweries best known beer and has raspberry puree added after filtration. 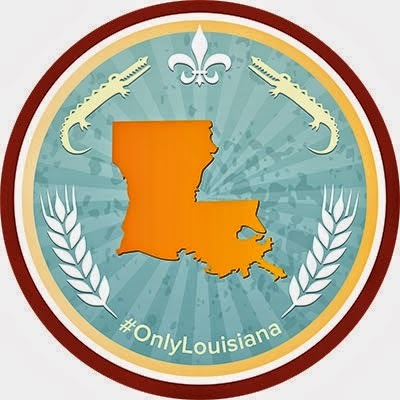 To earn the Bayou Brews badge you need to check into 3 beers from the Bayou state; Louisiana. Purple Haze is my 3rd beer from Louisiana, so here we are. Abita Purple Haze pours a hazy (pardon the pun) golden colour, with a brilliant white 3-finger head. The head diminishes very quickly, as in most fruit beers, but strangely leaves some lacing without much evidence of a ring of foam being left behind. I'm assuming the cloudiness in this beer comes predominantly from the raspberries considering it's been filtered, I do wonder though why there doesn't appear to be any coloration imparted by the raspberries? Fruit dominates the aroma with raspberry, a bit of strawberry and grapefruit the most prominent. The base of the beer appears to be mostly wheat, but there isn't the banana-ey characteristics that normally characterize wheat based beers. There's a slightly off-putting alcohol aroma at the end as well. Purple Haze surprised me a little with it's initial sweetness. This quickly subsides however and you are left with very little flavour. There wheat and grain combo is very weak and the raspberries taste slightly odd... The carbonation also seems very low. Maybe this beer didn't survive the journey over the pond? Overall I thought that this beer was overhyped, whether it was old or not. It's not amazing by any stretch of the imagination; nor though is it abhorrent. It seems how I imagine a macro take on a fruit beer would turn out. Just because I'm not a huge fan of the beer shouldn't put you off trying it. I would hazard a guess that it would appeal to less experienced craft beer drinkers who don't mind fruit sweetness.